Answering calls, making copies, filing papers, scheduling meetings, arranging schedules….the list could really go on. Administrative assistants are one of the hardest working and busiest employees within an office – they hold great responsibility in ensuring that relations between clients and the company operate smoothly and that everything runs on schedule. Some administrative assistants are so detailed and well-versed that they even know their employer’s schedule better than the employer himself does. This year, Administrative Professionals Day/Administrative Assistants Day is April 24th, and it’s a day designated for showing thanks and gratitude towards the hard working administrative assistants at every company and organization around the country. Most gift givers tend to reach for gift cards, thank you cards, candy, or flowers. While these are great gifts to show your sentiment, some of these things do succumb to the test of time (especially perishables and items such as flowers). For a one-of-a-kind gift that will last much longer, consider giving a personalized office gift that the recipient will use and see everyday. This makes the gift much more valuable while holding the same sentiment. Help keep essentials such as pens and namecards within reach and organized while at the same time keeping those important to his or her heart close by. 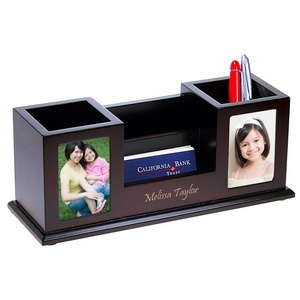 This rosewood finish desktop organizer makes a functional and stylish gift and is sure to keep an assistant’s desk tidy and presentable. This handy little notepad is a far cry from the typical plain and flab notepad and is a great gift idea if your assistant is fast-paced and is in charge of notetaking in meetings and presentations. 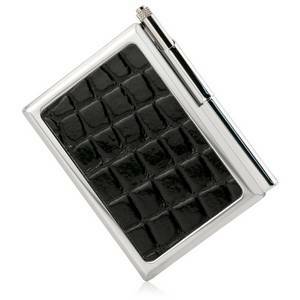 The faux crocodile leather finish lends an edgy touch while the pocket size of this item allows for easy on-the-go carrying. 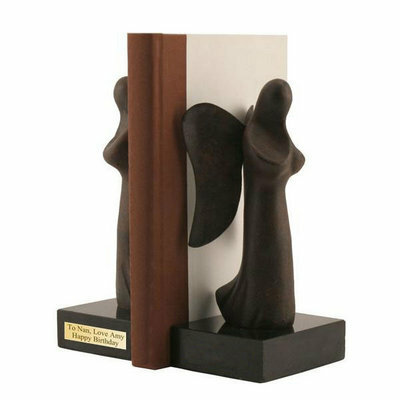 Instead of having files and documents cluttered and piled atop his or her desk, help your handy assistant keep the most reached for or needed case files neat and lined up with this elegant and high-quality set of Bronzed Angel bookends. They are sure to add flair and calm peace to any desk while keeping the space professional and clean. All that phone answering and handling of business can leave an assistant wrecked. 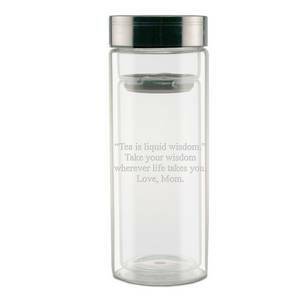 This dual-climate glass thermos gives a whole new meaning to refreshment, allowing your hard-working sidekick to fuel up on hot and cold beverages at any time at ideal temperature while having a thermos that stands out from the crowd. Lastly, nothing quite says “thank you” like an award plaque. Give solid, visible thanks in the form of this fancy jade glass award that any assistant would be delighted to receive and proudly display on their desk or cubicle. The reward becomes a source of motivation and drive for the employee to work harder. With our recommendations in mind, remember also that you always want a gift to be remembered, so our personalized gifts really do deliver that sentiment and sincerity, as they show the extra time and effort put into the gift selecting process. We hope you found our suggestions to be helpful and remember to keep April 24th marked to that hard-working administrative assistant!